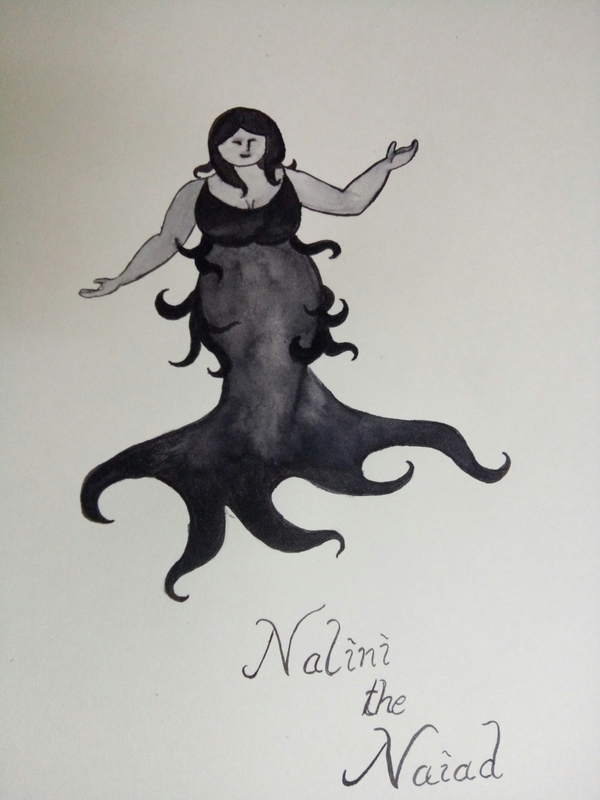 This is Nalini the Naiad. She is a water-spirit. Nalini has spent years absorbing the filth that humans have been spewing into the world’s water systems… despite her repeated attempts to explain to them how pollution affects not just her and all the water-creatures she protects, but eventually spells doom for the humans themselves. She is tired now, but still keeps up the fight. This entry was posted in Pictures and tagged #Inktober2016, Beautiful Women, Gender by elphaba9. Bookmark the permalink.